recommended for: Fans of The DUFF by Kody Keplinger, 90s rom coms, and fun, frivolous contemporaries. 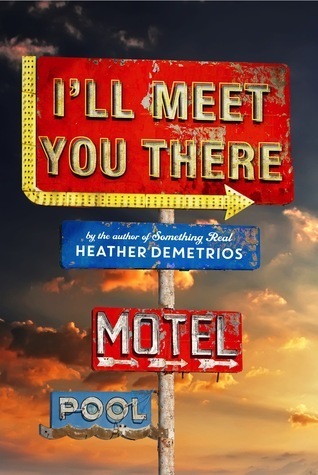 Here's another book that I wasn't totally hyped about until my good friend Christina Reads YA convinced me to want it. I think it was the whole pageant thing. Gag me. But, as you might guess from my track record here, I ended up finding Dumplin' charming, empowering, and wickedly smart. I also learned so many factoids about Texas, pageant culture, and Dolly Parton. Who the heck ever heard of a mum? The end result is a body-positive high school rom com that preaches confidence without sacrificing reality. Meet Willowdean, self-proclaimed fat girl. She's always been big, and she doesn't give a damn--until she meets Bo, a dreamy coworker who could woo any cheerleader, but wants her. Suddenly, Willowdean is acutely aware of her rolls and curves. What Bo thinks when he touches her. What others would think if they saw them together. Whether others see her like her late aunt, who was very overweight and disparaged by others. It's such a poignant proof of what I've come to realize over many years--that a boy (or girl) liking you can't erase your own insecurities about your body. Willowdean's story is one of self-discovery and just being a teenager. She crushes on one boy and rebounds to another, using him rather poorly. She worries that she's losing her best friend; they fight, they say cruel things, they make up. She grapples with the death of her aunt. She makes new friends among the weirdos. She meets a group of supportive drag queens. She decides to enter the local pageant to prove to the world--and herself--that beauty isn't bounded. But really, her decision to rock the pageant world with her unconventional body is more of a scaffold. The real story is about Willowdean navigating teenage-ness: being selfish, being insecure, being compassionate. Dreaming, learning, and growing. Doing stupid stuff and being unreasonable and being brave enough to admit that and make up for it. Even skinny-shaming, which feels uncomfortable to read. But I didn't even mind that she sometimes behaves very badly--because she's a freaking adolescent. What really elevated this story from cute to inspiring, for me, was Murphy's writing. She gives Willowdean a dry, self-deprecating humor and a grandiose, whimsical, but also brutally pragmatic way of looking at the world. Unlike many books, it doesn't read as too precocious for a teenager. I could easily imagine that Willowdean herself had penned this book; slipping into her head was so easy. So even though some of the situations are ridiculous, certainly not normal for the high school experience, the story as a whole feels absolutely authentic. I laughed, frequently, I awwed, and I felt a little bit like I was sixteen again. And though it didn't consume me the way other books have, and though I may not remember it in a few years, it was a welcome respite from the real world. 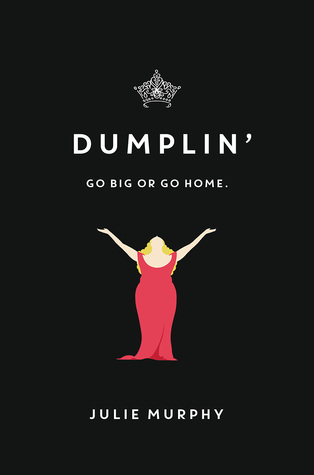 Dumplin' is a fun, heartfelt contemporary that reminds you how beauty can occupy many shapes--and how it's only one small part of who we are. will i read this author again? Yes. I really want to read Side Effects May Vary. Yes, flaws are great! I loved that Willowdean actually did some uncomfortable stuff and then had to learn from it. Thank you, m'dear! I keep hearing about this book, both good things and meh things. All of the reviews I read make me want to read it though because it sounds really fun!